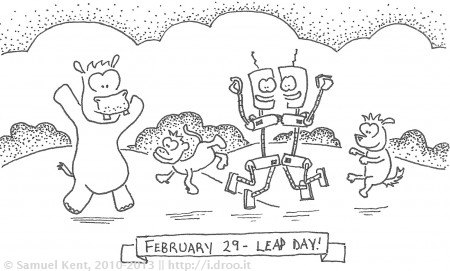 #387 – It’s Leap Day! Now, everybody do the obvious! Shout out to my fellow lunchbox doodler, Caron. She does doodles for her son the night before and her leap day doodle inspired my own. Check hers out!